New Delhi, March 20 - Delhi Capitals' pacer Ishant Sharma wants to take wickets than just bowling well in the 12th edition of the Indian Premier League (IPL). The fast bowler, picked for Rs 1.10 crore in the auction, feels this Delhi team has the arsenal to go all out and win the title. The team has the perfect combination of fast and spin bowlers, he said. Remarking that he has high ambitions for this season, Ishant said, "I am focused on taking more wickets, not just bowling well. Of course, it (wickets) depends on how well you bowl, but the most important thing is you use your good performance by helping the team in taking important wickets. "Delhi Capitals has some great bowling options for IPL 2019. With the likes of Trent Boult and Kagiso Rabada in the team, I think we have one of the best bowling lineups this time. We have some good all-rounders along with great spinners and that shall help in restricting teams from scoring freely," the 30-year-old said. Speaking on his return to Delhi, Ishant said he is extremely happy to represent his hometown in the IPL. "I have played for different teams in the IPL. But it makes me immensely happy to be able to represent Delhi Capitals this season. 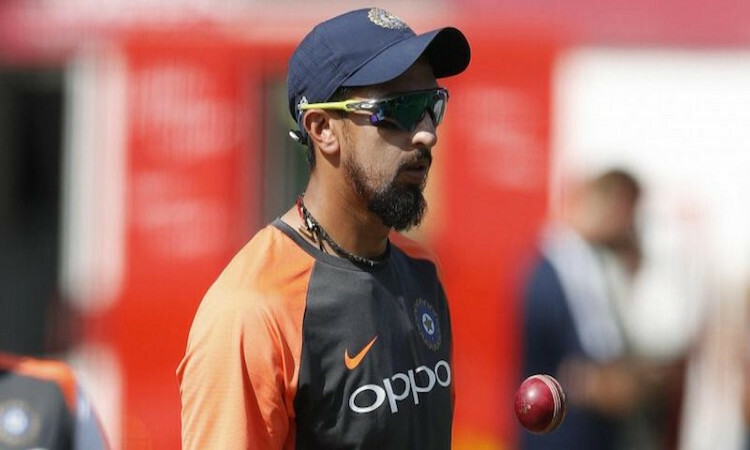 Being a Delhi boy, it is a great chance for me to represent my home side and my most important target is to make the Capitals win the coveted title," said the lanky bowler. "It will be crucial for us to start well against the Mumbai Indians in their home ground. We know the crowd will be behind them, but our team has enough experience to tackle the pressure and perform against a strong lineup. We are all looking forward to playing our first match of the new season."